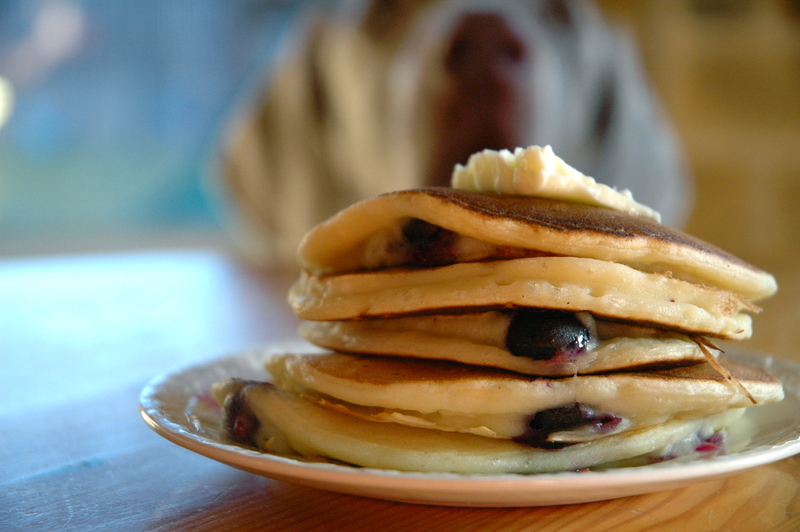 The best part of this picture is Bunker in the background smelling the pancakes! I know! I loved it! He doesn’t eat gluten-free though, so I wouldn’t give him any of our special ones. I agree! 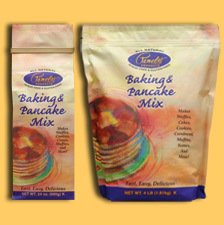 Pamela’s pancake mix is VERY yummy!